I have a story about Glenfiddich 15. I was planning a trip with my long-time friend Mike (he was my best man, and I was his) to Las Vegas, and I wanted to bring a bottle of something semi-special to share, and also to offset the price of drinks at the local bars. I knew that if you’re sitting at a machine or table in Vegas and are offered a free drink, it’s not going to be single malt. In fact, it’s going to be Dewar’s on the rocks. 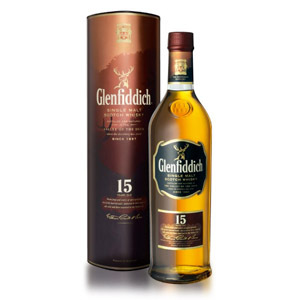 So given those criteria – something I can pour several glasses of each day without feeling the wallet pinch, but something special enough to be the only whisky I consume for four days, without much hesitation I went for a bottle of Glenfiddich 15. The 15 is interesting. It’s widely-distributed, very cost-effective for a 15 year-old malt, and has something that no other (or almost no other) scotch on the market has: malt from a modified sherry-style Solera system. It’s miles ahead in quality from Glenfiddich 12 (which is just passably drinkable), but is still usually under $50. It’s got a little sherry flavor, a solid ex-bourbon oaky malty base, and top-notch craftsmanship. I’m not going to be able to explain the Solera system effectively, nor Glenfiddich’s modified version, so I’ll summarize it like this: They take 15 year-old Glenfiddich from ex-sherry casks, ex-bourbon casks, and also ex-bourbon hybrids (ex-bourbon casks that were transferred to new oak barrels for 4-6 months). They then mix these into a giant “solera” vat that still contains whisky from previous batches, which have been mellowing together in the vat. Since the whisky in the vat is not contained in relatively small oak barrels anymore, it does not continue to “age” in the traditional way. The solera vat is never emptied more than halfway, which means there are theoretically molecules of whisky in each bottle of Glenfiddich 15 that were first put into the vat in 1998. As batches are drawn from the vat, they are married for a few months in a smaller cask and then bottled at 40% ABV. Review sample taken from a bottle purchased in Autumn 2015. 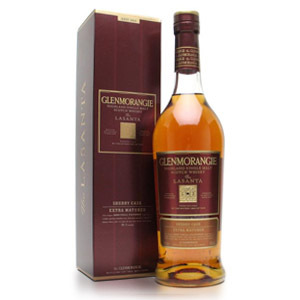 Nose: Mild sherry notes: golden raisins, slightly sulfury bananas, dried apricots. Also, lemon peel, buttercream frosting, marzipan. Reminds me a bit of Macallan Gold and also Dalwhinnie 15. It’s not a sherry bomb, for sure. Palate: Thin body. Golden raisins again, plus loads of vanilla, coconut water (very weak), nougat, and blanched almonds. Very pleasant. Finish: Medium-short. Malty, with sugar cookies, shortbread, and faint dried fruits. Never bitter. Fades with some nuttiness (almond butter?). With Water: At 40%, it can’t take much water, but a few drops wakes up a fresh green banana note on the nose and makes the palate a tad sweeter. Optional. 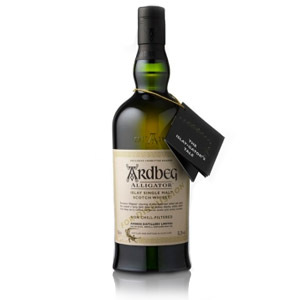 Overall: A very pleasant albeit middle-of-the-road dram. Miles ahead of Glenfiddich 12 in terms of craftsmanship and general drinkability. It won’t win any individuality awards for flavor or rate in anyone’s top-10 list, but it satisfies thoroughly for the price, and warrants a consideration for the “basic” little-of-everything spot in your daily dram rotation. It’s also special enough (and has a good story) for gifting, and as I discovered in Vegas, is drinkable enough to polish a bottle off with friends. Glenfiddich needs little introduction. One of the most prevalent single malt Scotches available in the US, the baseline 12-year can be found in drug stores, supermarkets, liquor shops, bars, and restaurants across America. In fact, Glenfiddich and Glenlivet are probably the only two single malts that many Americans would recognize by name. In 1963, William Grant & Sons company set aside casks of Glenfiddich whisky with plans to market it as a single malt. Single malts were, at the time, exclusively the domain of independent bottlers, and were not widely available outside of specialty wine & spirits retailers. This move started the industry (which soon followed suit) down the path of official distillery bottlings of single malt whisky, and is largely the reason today’s whisky industry is so diverse. Located in Dufftown, in Speyside. Glenfiddich means “The Valley of The Deer” and refers to the field on which the distillery is sited – it also explains the image of a deer on the label. The entire production, from malting to bottling, is done on-site, which is very rare for a distillery. Craft Campbeltown distiller Springbank may be the only other one. Glenfiddich even has its own cooperage. Open mash tuns and Douglas-fir washbacks are used in distillation, and the water flows from Robbie Dubh spring, which rises from the granite Conval Hills. With 29 stills making 10 million litres of whisky a year, it’s no surprise that 33% of the world’s malt whisky sales are Glenfiddich. Even if you don’t appreciate the “mass-market” aspect of their whiskies, you have to appreciate the industry revolution set in motion by William Grant a half-century ago, and the powerhouse brand that he built. I compared it also head to head with Scapa 16 and even here Glenfiddich wins (richer nose and taste). 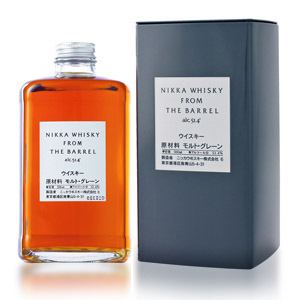 I just got a bottle of this last week as a gift. Still not sure what to make of it. I like the heft and blend of flavors, and the nose is pleasant indeed. But the finish is a little dry and prickly(?) on the tongue as compared with pretty much anything else I’ve ever had. It doesn’t have a “textbook” taste, that’s for sure. 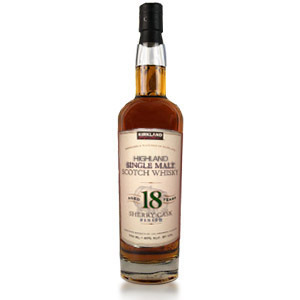 Will have to get a hold of Glenlivet 15 for a straight-up comparison. I know too many scotches, not enough time but wondering whether you had a chance to try the new 14 Years? This was the Scotch that started I for me. Still love it. The Balvenie and this are my go to anytime drams. I never picked up on the banana until I read this review and now I taste it every time! I just bought a bottle. It was a special price of 30eur, so after reading your review I decided to give it a try. Hopefully I won’t regret the trust. I was really impressed when I tried it at the airport (IAH) while awaiting a flight home. I’m like you, the Glenfiddich 12 doesn’t do it for me.